There is power in social media platforms. Authors spend hours studying the enigma that is “going viral,” working to harness this super potential. 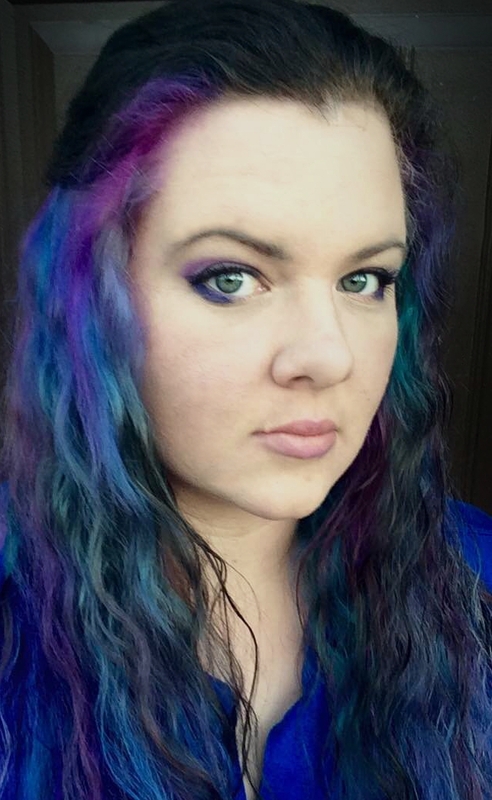 When writers have the charisma Candace Payne (the Chewbacca mask mom) used to turn doldrums-relieved into an Internet sensation, the stars are the limit. Recently, researching possible names for a long-term space travel vehicle, I toyed with the idea of Serenity Station as a nod toward a favorite science fiction show. During NASA research, I discovered an interesting anecdote related to the name Serenity. In 2009, NASA posted a poll online, giving users the opportunity to vote on the name of node three of the International Space Station. They offered Earthrise, Legacy, Serenity, and Venture as options for the new module. A fifth option allowed voters to give their own recommendations. And then television and social media took over. On March 3, 2009, Stephen Colbert asked viewers of The Colbert Report to write in his name as the fifth option and inundate NASA with votes for Colbert. Of the NASA suggestions, Serenity won with 70% of the vote. However, as a write-in, Colbert surpassed Serenity with forty thousand additional votes. NASA, citing its discretion to select an appropriate name for node three, chose Tranquility as the name instead, in honor of the first lunar landing in the Sea of Tranquility. But in an effort to appease Stephen Colbert and his fans, NASA made an appearance on The Colbert Report and offered to name a treadmill C.O.L.B.E.R.T. (Combined Operational Load Bearing External Resistance Treadmill). Stephen Colbert agreed and the treadmill was installed in the Tranquility nodule in August 2009. While I did not ultimately choose to name my own fictional space ship Serenity, this is a fantastic example of how media can sometimes trigger a reaction that launches an author from obscurity to unexpected fame. Apparently there was some confusion over the rafflecopter prize, which is entirely my fault and I apologize. Normally when I run a hop it's a bigger event and I ask authors to donate to one or more prize bundles, which I then arrange. On this occasion, because it was a much smaller event, I simply listed what each author wanted to give away, intending it as a single prize but with the separate elements being sent directly to the winner by each author rather than directly from me. My bad. I should have made that clearer: that there would only be one winner for the entire prize list. However, the SFR Brigade are planning a much bigger hop in July, which will be better organized (because I'm not arranging THAT one, lol), so please stop by for that. For more information please follow @sfrbrigade on Twitter and/or the Facebook fanpage and/or the blog at http://sfrcontests.blogspot.com so you don't miss out. 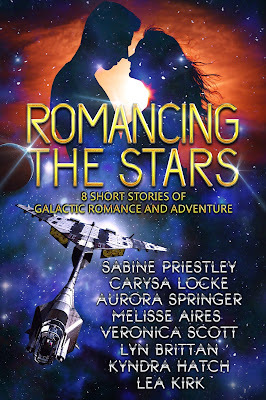 The SFR Brigade is an amazing group of readers, writers, and enthusiasts. 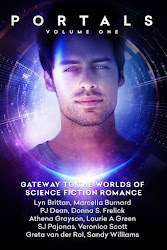 The support network that it has garnered has been credited by more than one author as the great motivator to write Science Fiction Romance, or even start writing, myself included. What a wonderful community we have! And I'm super excited to travel on this spaceship, everywhere it goes. 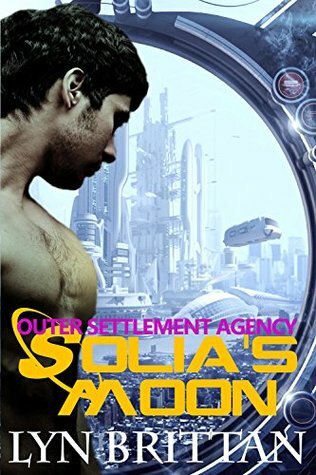 Solia's Moon: When her terraforming company expands beyond creating habitable places to creating humanoid life, Lunar Physician Solia Calian has to find a way to stop them. She’ll have the help of a mysterious sheriff, Giancarlo Sable, but they’d better hurry up. When the creatures they want to liberate start turning on them, figuring out where the real danger lies is the only way to leave the colony in one piece. 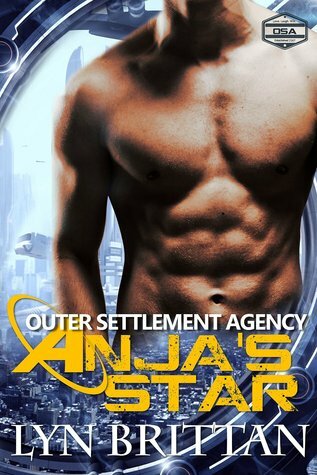 Anja’s Star: Losing a pirate’s spaceship is rough…especially when he’s your boss. The clock’s ticking for her to get it back and the only one who can help her is a hot cop with a dangerous smile. 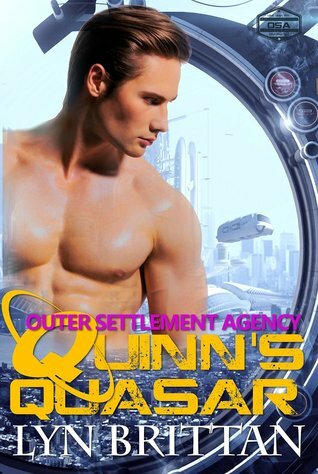 Quinn’s Quasar: Half clone, half human, Quinn’s on a mission to bring down one of the wealthiest men in the Quadrant. Too bad he’s got his heart set on winning her love. Lana’s Comet: A military doctor desperate to have some fun before basic training, Lana goes out for a night on the town and to hell with the consequences. Oh, but fate has the last laugh when her hunk shows up the next day for basic training. 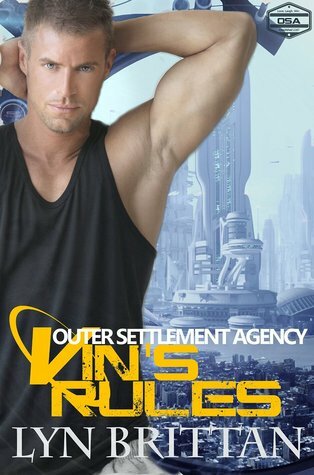 I thought this series got stronger as it progressed, and especially recommend Lana's Comet and Vin's Rules. 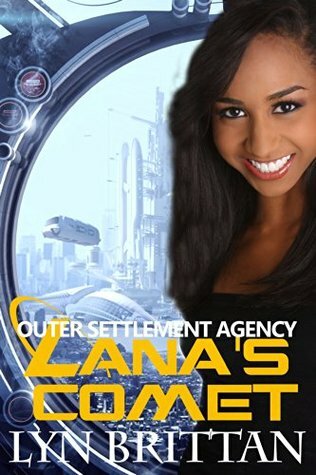 I read Lana's Comet first and thought it stood on its own, but it was cool to go back and read about the origins of the clones in earlier books. The characters are very distinct from each other and have credible motivations that let them banter and bounce off each other well. 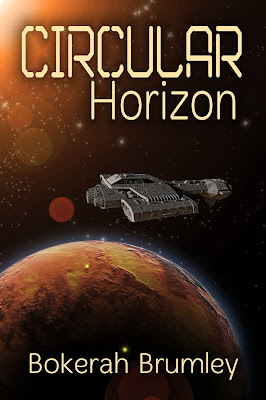 I especially liked how Brittan explores serious subjects, such as how space travel and settlement can affect the future of labor and personhood, while giving the stories plenty of humor. The Blue Moon Blog Hop is coming - eight science fiction authors sharing posts on a blue theme be it heroes, heroines, planets or more! 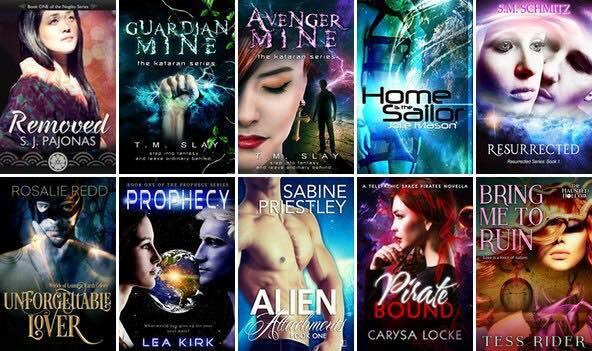 Plus there's a rafflecopter giveaway with ebooks and gift cards up for grabs. Swing by from the 19th to take part! 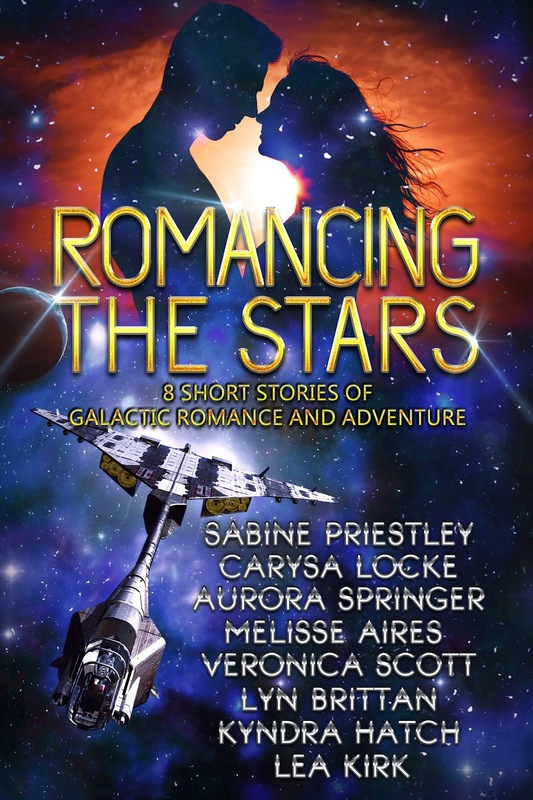 Beyond Galaxy's Edge features some of the more lovable protagonists I've read in a while. Smuggler-with-a-heart-of-gold may have been done before, but Justyn Phoenix doesn't seem too good to be true. Any lady would be lucky to have his attention, and he has good taste, too! Nissa, meanwhile, shows us that bald women with reptilian heritage can be objects of desire. For those wondering, she doesn't have any different organs that I know of. I also enjoyed the bestiary in this book: some killer plants kept my heart rate up and brows close to my hairline in one sequence. Nissa also has to deal with an issue close to my heart: parental pressure to excel balanced with respect and love. I, too, have a brother who I've felt I had to "make up for" with career and achievements (although on a smaller scale than Nissa). I've wanted to make my parents proud, achieve whatever they could not, and make our futures secure. They reinforce that, even though what they want most is for me to be satisfied with my life. There will always be that thread of tension in our lives, and I believe that familial relationships are key to a story that moves me.